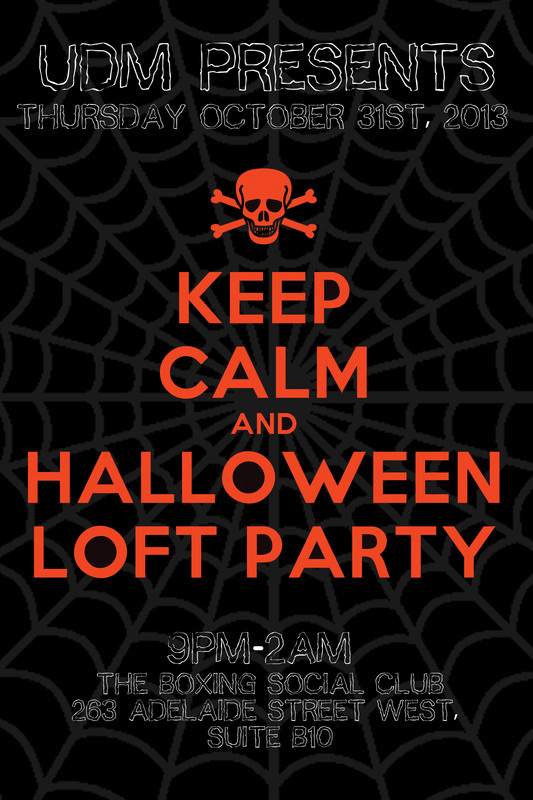 Welcome to the RSVP Page for UDM's Keep Calm and Halloween, Loft Party Hosted By UDM, Karl Wint, Walter Caceres, Emile AWE Reed and Fitzroy Ford. Music will be the best of 80's 90's and Current House Music, and underground Disco classics. Costumes encouraged. RSVP is required for $10 reduced admission. Enter your name and email to RSVP and hit Submit at the bottom left corner. your RSVP will be confirmed by Email.